Cape Town is one of the best places to free dive, or snorkel, in the world. 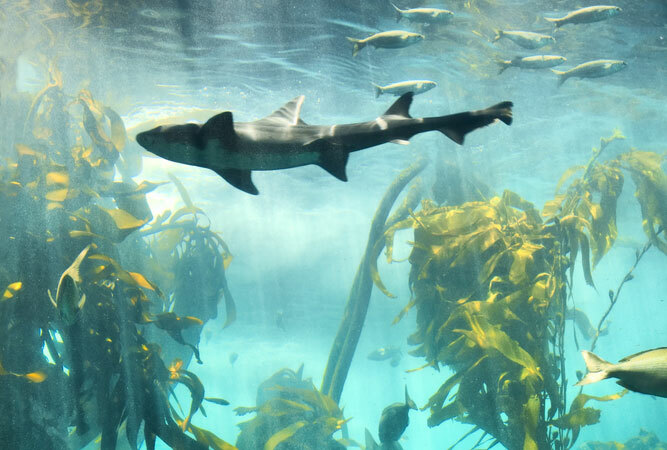 Cape fur seals, mako sharks, blue sharks, seven gill sharks, dolphins, whales and the magic of the kelp forests that line our west coast, mean the seas are rich with marine creatures, and incredibly beautiful. 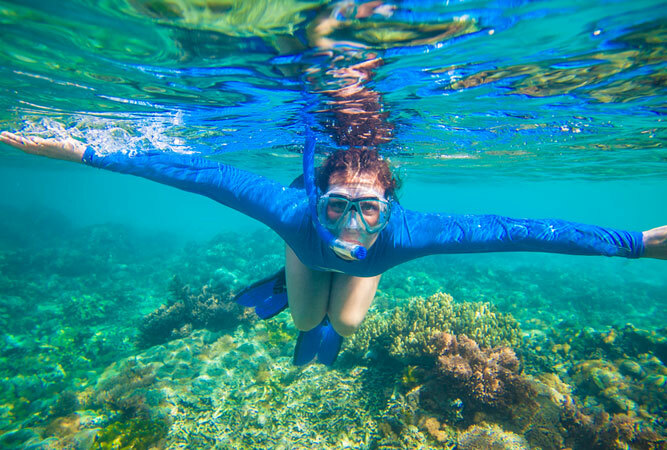 Snorkelling is the act of swimming through the sea with nothing other than a diving mask, a shaped tube called a snorkel and, usually, fins. In Cape Town you will need a wetsuit. Snorkellers make use of the shallow kelp forests, using the stems to pull themselves to the sea bed. Through the kelp fringe roam red romans, pajama sharks, sea urchins, anemones, shrimp and rock lobsters amongst other fish. And there are groups of Cape fur seals around the coast with whom you can interact (contact companies that facilitate seal snorkelling – now rather popular). Free diving, also known as breath-hold diving, is about going further and deeper underwater. It’s holding your breath for the longest time possible so that you can go to new depths, without the aid of scuba gear or a snorkel. But with the challenge of getting as deep as you can, as fast as you can, comes the added challenge of equalising the air pressure in your ears, and allowing the body to adapt to the increased pressure as well. is an inshore rocky reef in the marine protected area known as Castle Rock, near Miller’s Point. The pointed rock is visible at low and high tide. At the rock is a high profile reef that is well sheltered from the north west wind (hence the site is best in winter). This site does not have brilliant shore access (you need to be fit to do the downhill and the swim) and boat dives are more popular as a result. Good for snorkelling and free diving, Pyramid Rock is great for fish, cow sharks, puffadder shysharks and spotted gully sharks. You can also swim here from Shark Alley. lies at the end of Jagger Walk along the western edge of Fish Hoek. It is possibly a good idea to wait until well into winter, when all the great whites have left the bay, before venturing forth. It has an easy entry off Jagger Walk. the nature reserve at the end of the peninsula, part of Table Mountain National Park, provides numerous protected bays that, if the weather conditions are right, are perfect for snorkelling or free diving. Venus Pools at Cape Point in particular are spectacular for the fish life. the tidal pool, and the kelp forest just beyond the tidal pool wall, are both beautiful spaces in which to snorkel. The tidal pool is a good place to start, if you have not snorkelled before, and then just beyond the wall is the kelp forest, should you want to venture further. is just south of Simon’s Town, an extensive reef system that also provides access to seals (the great whites tend to hang out at seal island, if you are worried). This is a great free dive site if the visibility is good (wait until just after a north westerly wind). Partridge Point includes Big Rock, Seal Rock and Peter’s Pinnacles. It is located at the southern edge of Castle Rocks, and is second only to Castle Rocks when it comes to variety and numbers of fish. Best accessed by boat. one of the most popular shore entry sites on False Bay’s western side (right on the beach), and really beautiful for snorkelling, and photography. It is right next door to Boulders Beach, but best on a calm day (very exposed to south easterly wind and waves) as the swells can leave you feeling as if you have gone through a mangler. 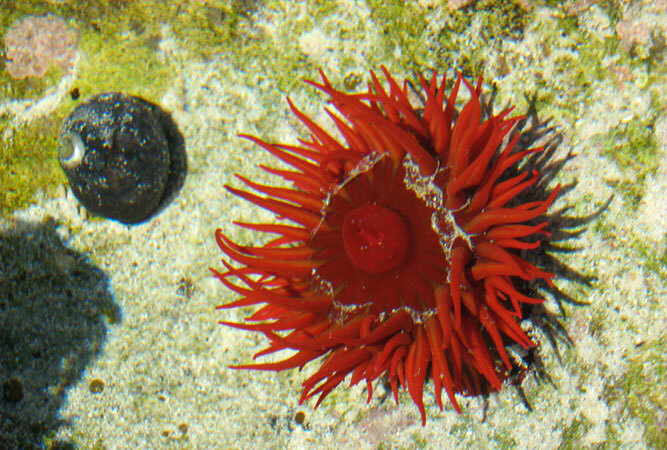 The granite boulders around the beach are home to a huge variety of sea life. Offshore reefs lie to the east of the beach. for those who want to see a great many sharks, particularly cow sharks (also known as seven gill sharks), this is one of the best places to free dive. Shark Alley is in the Castle Rock Marine Protected Area and you need a permit to free dive here. Best during winter. Sharks tend to thin between September and December. For those worried about diving with sharks, cow sharks are not considered dangerous, even if they are big. The shore access can get tricky. a pretty little bay just north of the Twelve Apostles Hotel that is also the entry point for dive sites at Oudekraal. Getting down to the bay entails a steep descent from the road. The bay is ringed with kelp forests, its centre a four to five metre deep sandy patch (hence its name), making it great for snorkelling (free divers will want something deeper) and exposure to shoals of small fish. Good during or after south easterly winds; protected from south west swells, but exposed to north westerly swells, so best in summer. an inshore rocky reef in the Oudekraal Marine Protected Area further out to sea from Sandy Cove, the Strawberry rocks refers to two smaller groups of boulders just north east of the much larger group known as Geldkis. This is a great free diving site, although a good ten minute swim from the shore, with long fins. A successful dive depends on good visibility, and playful seals. The site is best after south easterly winds, in summer. Watch the surges in the gulleys. the southern group of rocks in the same area as Strawberry Rocks, west of Sandy Cove. They provide a group of boulders with wonderful swim-throughs and caves and when the visibility is good, the reef life is incredible.